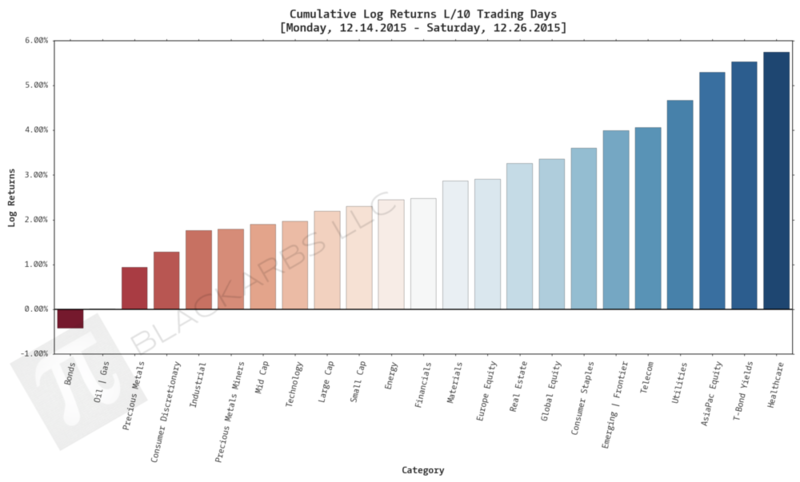 Healthcare has been the strongest composite group this year (+9.96% L/252) and has recently shown positive momentum over the L/10 days gaining +5.74%. 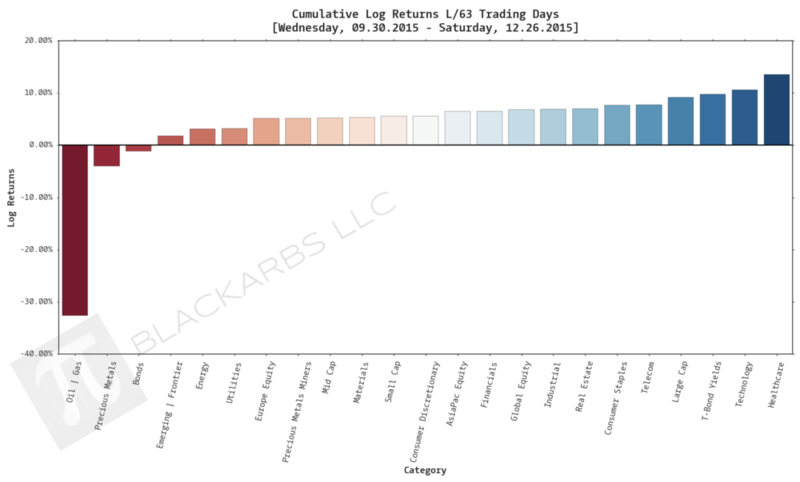 As noted last week the T-Bond Yield composite continues to gain momentum (top 3 positive returns L/63, L/21 and L/10 Days), indicating an increasing appetite for risk. 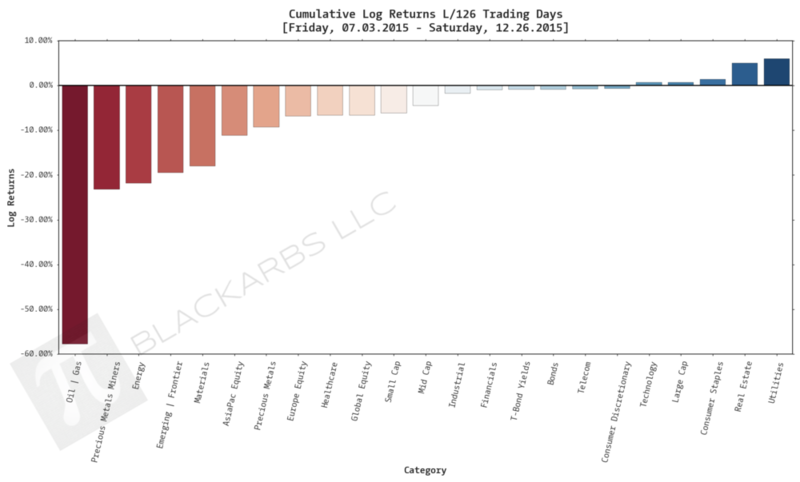 2 of the worst 3 performers L/10 days, Precious Metals and Oil + Gas, had positive cumulative returns. This is a potential indicator of a relief rally within those composites but more specifically within the Oil + Gas composites. 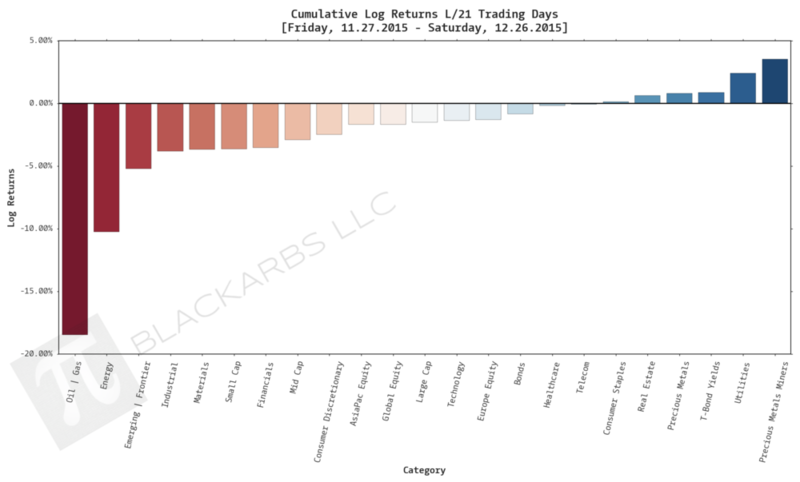 Shorts are likely locking in gains and investors are harvesting losses given the continued double digit declines in Oil + Gas in all time frames greater than 10 days. AsiaPac Equity surging +5.29% could be a trend to lookout for. In my weekly Implied Cost of Capital composite ETF valuation analysis, has consistently estimated AsiaPac Equity as the composite with the highest future implied returns baked into the price.